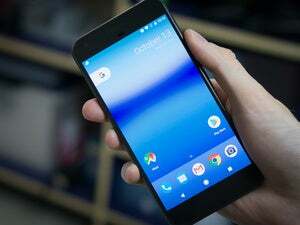 Here's what happened when I migrated my mobile world to a Pixel XL...and why I went back. I expected the transition to be far from frictionless. After all, I use iCloud Photo Library to sync my photos, correspond with my friends using iMessage, track my exercise with an Apple Watch and use a Mac. Migrating wasn’t going to be easy, but I wanted to give it a shot anyway and see whether the Pixel XL lived up to Google’s hype. On Friday morning, I pulled my SIM card out of my iPhone and stuck it into a new Pixel XL that Google provided for review. I fired the phone up, and it walked me through the process of trying to move my contacts, calendars, email and messages. Google also offers to migrate users’ music and photos, but can’t transfer snaps only saved in iCloud Photo Library, or iTunes music that’s DRM-protected or stored in Apple’s cloud, so I skipped that. 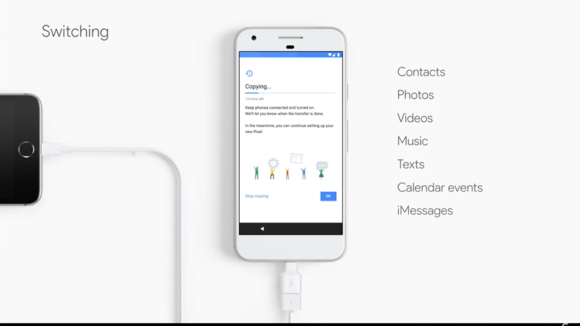 Google includes a dongle for migrating data from an iPhone to a Pixel. I was then faced with the next hurdle: getting all the apps I wanted onto the new phone. I installed 37 new apps, in addition to those Google provided. In the process, I had to find alternatives for several of the apps I use every day, which meant switching my to-do list, podcast app, and Twitter client. After all that, I finally got to settle into the Pixel XL. The transition to Android didn’t feel as foreign as I had feared. Many of the apps I was already used to on iOS have analogs on Android that feel similar. The fingerprint sensor on the back of the phone didn’t feel nearly as weird to use as I anticipated, especially after I got used to gripping the phone. As I got more comfortable with the phone, however, more annoyances started showing up. Photo attachments to text messages, which Google promised to import, didn’t show up in line in the conversation, like they did on my iPhone. Instead, each image was replaced with a helpful message that I could find them in my phone’s Photos app. But the photos in that folder aren’t organized in any way, with some images that I received months ago showing up right alongside photos that arrived in the past week as though they all came in at the same time. Google Assistant is cool, but doesn't seem that far ahead of Siri. 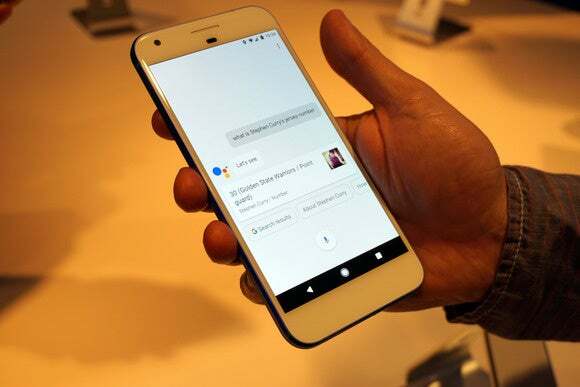 Using the new Google Assistant was impressive at times, but didn’t feel like a game-changer. In some cases, it was better at understanding my queries than Siri, while Apple’s virtual assistant handled other situations better. Overall, I’d give Google the edge in voice recognition accuracy and experience, but it doesn’t feel like an insurmountable lead. Migration once again introduced some issues. My relationship information is all loaded up in my iOS contacts, so Siri knows who my parents are. But when I asked the Google Assistant how old my Dad was, it didn’t know who I was talking about. When I gave it his name, I assumed it would associate that with the contact card of the same name already on my phone. It didn’t. 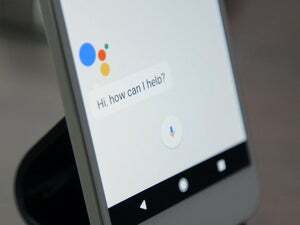 Moreover, making reservations using the Assistant—one of the things that Google advertised heavily—was finnicky and difficult. The interface clearly shows potential, but the execution isn’t quite there yet. Siri and Google both integrate with OpenTable, and I’m unconvinced that I can find a reservation using either of them faster than I could just use the OpenTable app. Don’t get me wrong: the Pixel XL is a great phone. Google’s done well with this one, and I look forward to seeing what comes of it in the future. But making the move over to it from iOS when I’m so invested in Apple’s platform already felt like death from a few dozen different, tiny cuts, without a shiny reward for my troubles. People who already rely on services that have a stronger cross-platform component like Fitbit for fitness and Spotify for music will have an easier time making the move. It’ll be easier still if their photos are already in Google Photos and they already use Google Calendar. If I was looking for a new phone without any baggage of migrating, I’d be taking a good, long look at the Pixel line. But I have a shiny, new iPhone 7 that I enjoy using already, and it has the benefit of working with all the iOS-only apps and services that I love. Now, if you’ll excuse me, I’m going to switch iMessage back on.